The genesis of the partnership goes back to a chance meeting at a dinner between CyberVista CEO Amjed Saffarini and FAIR Institute President Nick Sanna. “I was complaining that there wasn’t a tremendous of science that went into how cyber risk was explained in the board room,” Amjed recalls. Nick ran out to his car and brought back a copy of the FAIR book, Measuring and Managing Information Risk. “As soon as I read the table of contents I knew this was something we would be very involved with,” he says. CyberVista is now a sponsor of the Institute and Amjed sits on the advisory board. 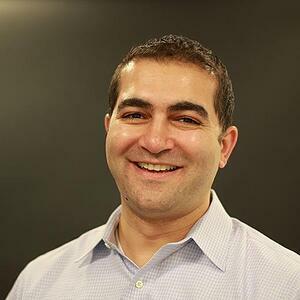 Trained in biology and neuroscience, Amjed spent 16 years as an executive at Kaplan, the major professional training and test-preparation company, where he pioneered online learning programs. He recently talked with FAIR Institute Director of Membership and Programs Luke Bader about how board acceptance of cyber risk quantification is growing, how cybersecurity training is moving away from the traditional certification focus and more. Listen to their 12-minute discussion now.